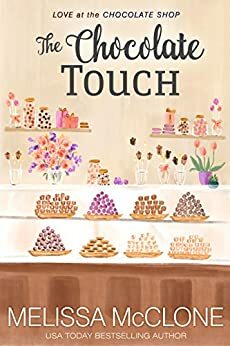 Chocolate expert Chantelle Cummings arrives in Marietta, Montana with two goals—sign copies of her new book and research a quaint local chocolate shop. 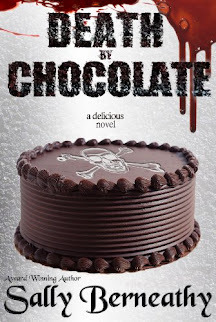 When she meets a gorgeous guy passing out chocolate samples, her visit turns sweeter than she ever imagined. The man melts her heart, but her dream of working in France with her family makes her hesitant to pursue a romance. Walking into Paradise Books in Marietta, Montana, York Parker was a man with a mission. He might not be a captain in the air force any longer, but he was the big brother of two incredible women—Dakota and Nevada—and one needed his help tonight. He was used to scanning code on his computer screen and watching trajectories on monitors, so he went into surveillance mode to find Dakota. Rows of chairs and a wooden podium suggested a reading or some other event had taken place recently, maybe tonight, but his sister wasn’t there. She also wasn’t among the bookcases or with the customers who stood in a line along the left-hand side of the store. The place wasn’t that big. Someone crashed into his back, and he took a step to maintain his balance. He was fine, but he couldn’t say the same about the person clinging to his left arm and shoulder like a dead weight. “That’s okay.” And man, was it. Soft curves pressed against York. The scent of vanilla surrounded him. He couldn’t see her face, but everything else about her was near perfect. If he were looking for a hookup. He went into big-brother mode, turned, and put his free hand on her waist to help her balance. “Are you hurt? “Your secret is safe with me.” He took a good look at her. She was in her mid-to-late twenties with a beautiful face that could stop a convoy of Humvees and long, blond hair that belonged spread over a pillow or a man’s chest. York’s pulse kicked up a notch. Okay, more than one. She wore a pale blue above-the-knee skirt and matching jacket. Attractive and well dressed. A combination that was hard to resist. “Thanks, but…” A big, blue-eyed gaze—the color of the sky on this fine day in May—met his. His breath caught in his throat. Something twisted in his gut. He stared, captivated. Not the reaction he was expecting, nor like anything he’d felt while charming scantily clad women on the beach last week. “Did I hurt you?” she added. Reality returned in an instant. He bit back a laugh. If she could hurt him, he needed serious help. She was average height to his six-two. Not skinny by any means. She had curves a man could hold onto or sink into. Just his type. And too small to do much damage to someone as big as him by accident… or even if she’d tried. York wanted to know her name. With a quick smile flashed in his direction, she hurried away. The sway of her hips and heels that showed off her long legs had him watching her go. He didn’t get her name, but that was probably for the best. love the excerpt! bought the book. this has been a great series to read! !